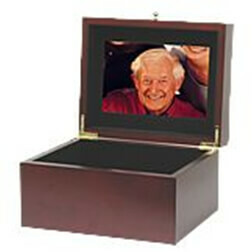 Includes choice of FREE Aluminum Urn or handy Eco-Friendly Scattering Tube. 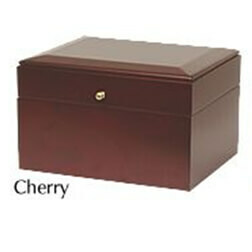 An attractive aluminum urn with bronze finish. 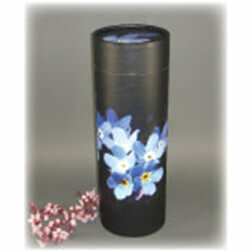 This environmentally friendly scattering tube that allows you to scatter and safely store. 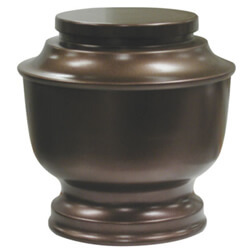 A beautiful hand-crafted brass urn (10.4”x 6.1”, 195 cubic inches). 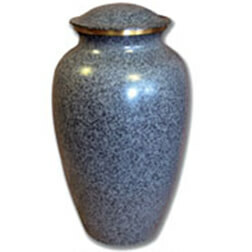 Size 9.7” W x 6.2” H x 7.8” D.
The Journey Earth urn is perfect for ocean or deep water burial. 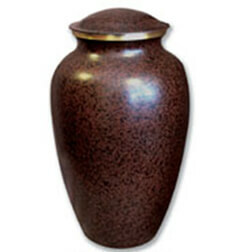 These biodegradable urns are engineered to float momentarily and then gracefully sink. Once on the ocean floor, the urn will break down naturally over time. 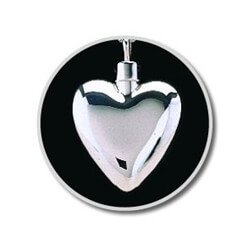 Each Journey Earth urn includes a water-soluble plastic bag which dissolves on contact with water, allowing the cremated remains to be dispersed within minutes. Journey Earth urns are handmade using a centuries old paper making technique. The bark from the mulberry tree is harvested, leaving the tree alive and intact. After the bark is soaked, the resulting pulp is laid out on bamboo screens, often with floral material inlaid, and dried in the sun. 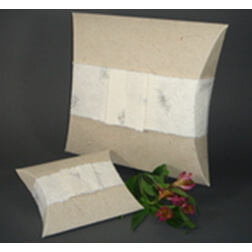 Once dry, the paper is used to create our beautiful and earth-friendly urns, which will break down in water or soil. Size: 14" x 12.5" x 3"
Please feel free to call at any time with your questions or to arrange for an appointment.